Opal | Gemstones from A-Z at Rocks & Co.
Back Home Gemstone Information Opal | Gemstones from A-Z at Rocks & Co.
Opal is derived from the Roman 'opalus', which in turn is from the Greek 'opallios', meaning 'to see a change'. The original source of the name is probably the Sanskrit 'upala' (precious stone), supporting ideas that India was once a source of Opal for ancient Rome. 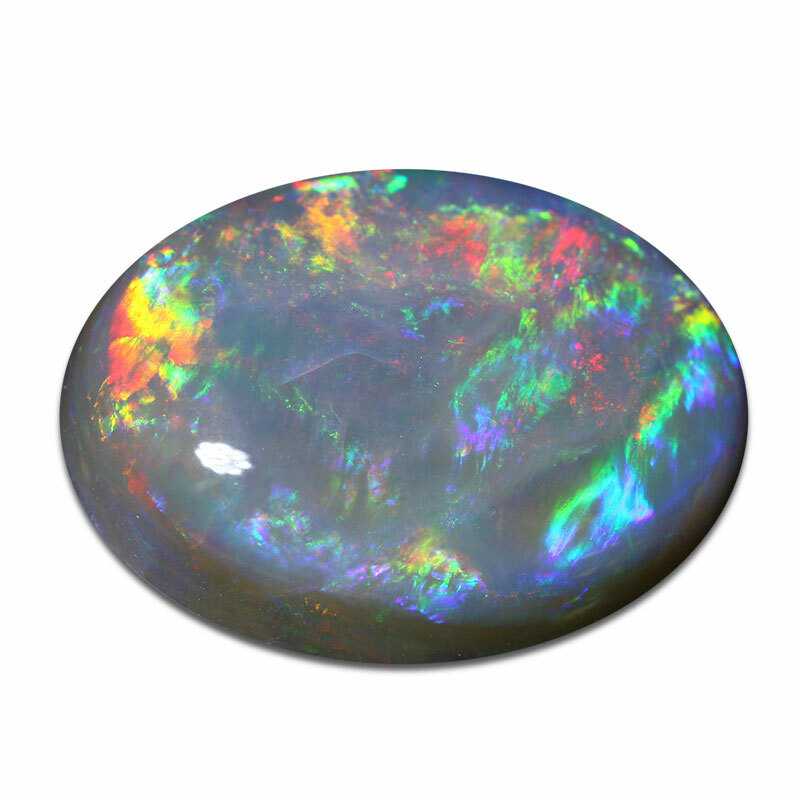 Ancient Greeks and Romans often compared Opal's beauty to that of a favourite child. While both cultures cherished Opals, the Greeks believed it possessed the power of foresight, invisibility and prophecy, while the Romans considered them symbols of hope, love and purity. Shakespeare used Opal a lot in his plays to portray lavish magnificence, calling it, "this miracle queen of gems" in 'Twelfth Night'. Queen Victoria, much like Cleopatra's second Roman boyfriend Marc Anthony, was a ruler big on Opal. Opals are also a part of Dreamtime legends from Indigenous Australian culture. Opals were known by tribes in the Andamooka region to South Australia as ‘fire of the desert’. They believed that ancestral creator came down to earth on a great rainbow, which turned the rocks it touched into resplendent Opals, coloured with the hues of a rainbow. Since 27th July 1993, Opal has been Australia's national gemstone. The structure of Opals is unique and comprised of tiny spheres of silicon dioxide forming a pyramid-shaped grid, interspersed with water. The refraction of light through the spaces between these spheres that creates Opal's characteristic and unique 'play of colour' - the flashes of colour that change with the angle of observation. 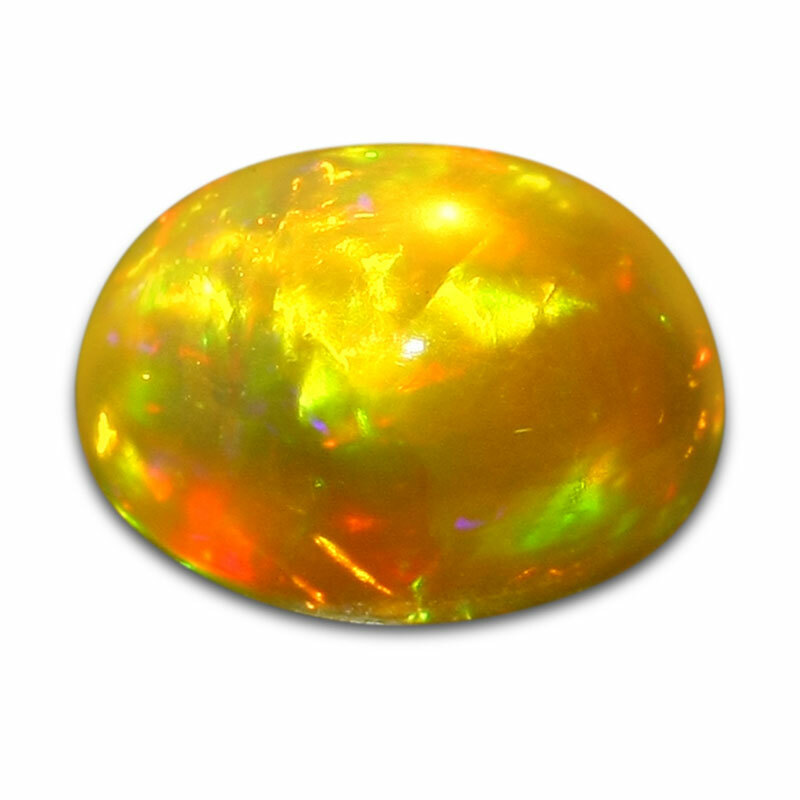 If the silicon dioxide spheres are more randomly arranged the Opal will not have a ‘play of colour’. Play of colour is the most important factor when it comes to Opal. Opals whose 'play of colour' flashes in the rare reds are generally more valuable than those with just blue and green. Black Opal is the most valuable variety, simply because of the contrast and intensity afforded by its black body colour. When 'play of colour' is present, its value lies in the brilliance, brightness and strength of colours displayed. The patterns of colour also affect value, with large patches of colour priced higher than those with small patches of colour. It is important to note that not all Opals have ‘play of colour’. Fire Opal is transparent to translucent crystal Opal with virtually no 'play of colour', displaying oranges, reds, yellows and, since a recently discovered Brazilian deposit, also blues. 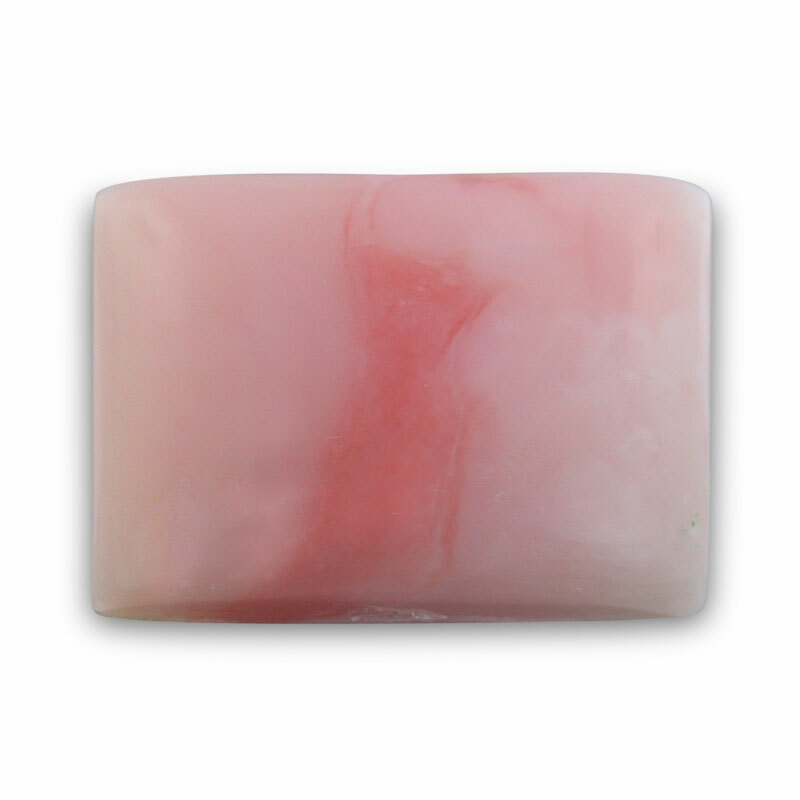 Peruvian Opal is a rare variety that exhibits exquisite translucent blues, pinks and greens, also without 'play of colour'. 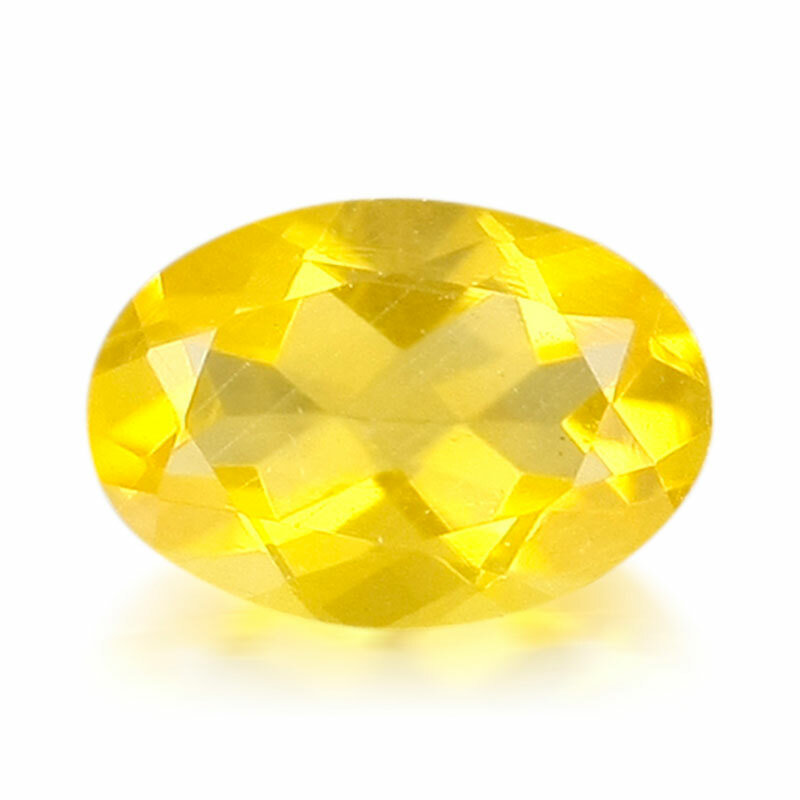 Another variety with no 'play of colour' is the translucent yellow and green Opal from Tanzania. Now famous across the world for its brilliant colours, Australian Opal was discovered in 1849 and by the end of the 19th century started to dominate the world's supply. Today, most Opal is sourced from a handful of Australian mining areas, including Andamooka (1930), Coober Pedy (1915), Lightning Ridge (1902), Mintabie (1931), White Cliffs (1890) and the Queensland Boulder Opal fields (a vast area discovered in 1869 centring around the town of Quilpie). The majority of Australia's Opal fields are located in the 'Great Australian Basin' and were formed from the weathering of sandstone deposited over older host rock. 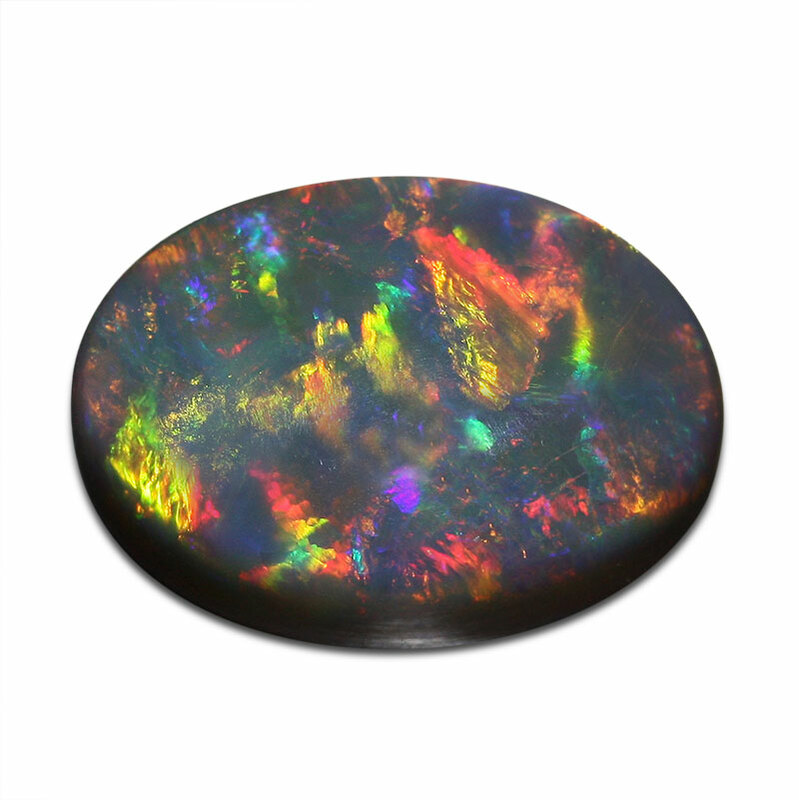 Apart from Australia, other Opal sources include Brazil, Ethiopia, Mexico, Peru, Tanzania and the U.S.A.
Black opal, the most valuable variety of opal, has a black body colour and is opaque to slightly translucent, particularly when viewed against a strong light source. 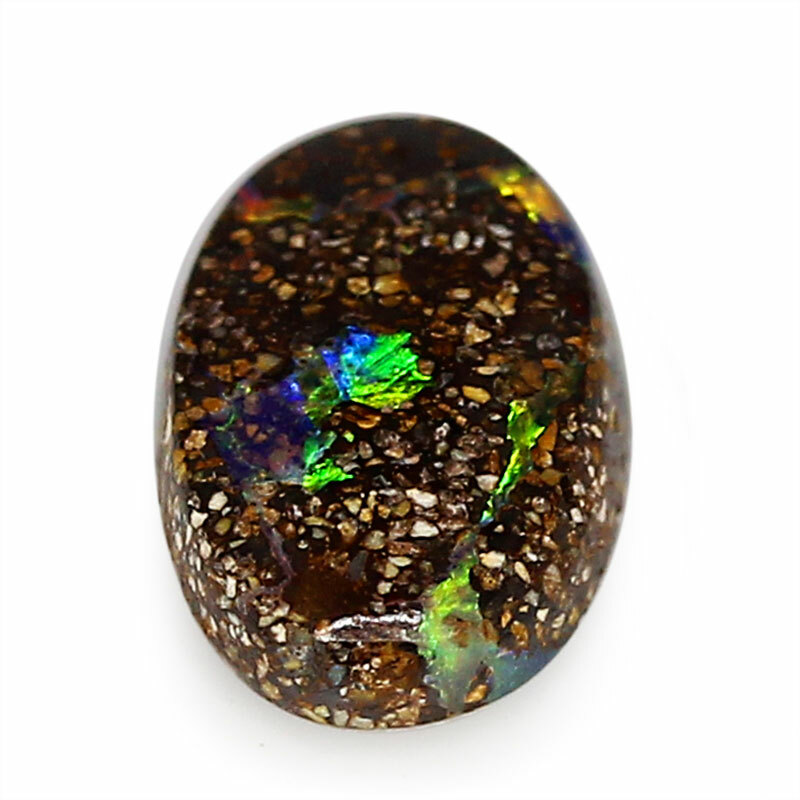 Semi Black Opal (also known as Dark Opal) is translucent to semi-translucent and has a body colour in-between grey and black. 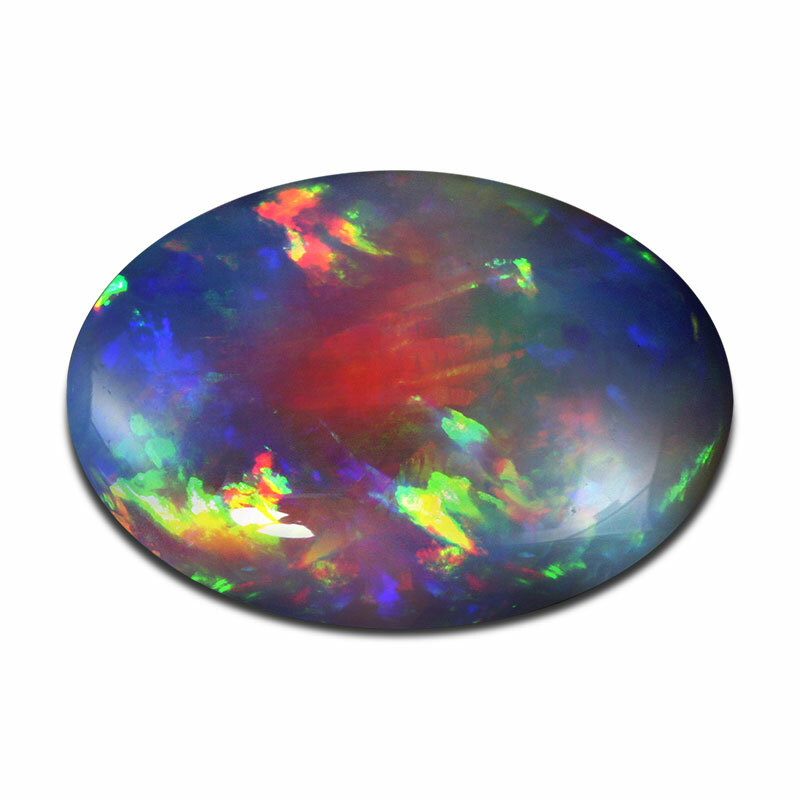 As Black Opal is generally more opaque, opacity is the criterion that divides black and semi-black Opal. This example is from Mintabie in South Australia. Prized for its flaming rich colours, Boulder Opal's popularity has skyrocketed over the last 20 years. Created when Opal fills cracks and crevices in ironstone boulders, Boulder Opal occurs sparsely over a huge area of Queensland. Most Boulder Opal includes the host brown ironstone cut to the contours of the Opal vein. This typically results in Boulder Opals with striking, irregular free-form shapes, making each one unique. 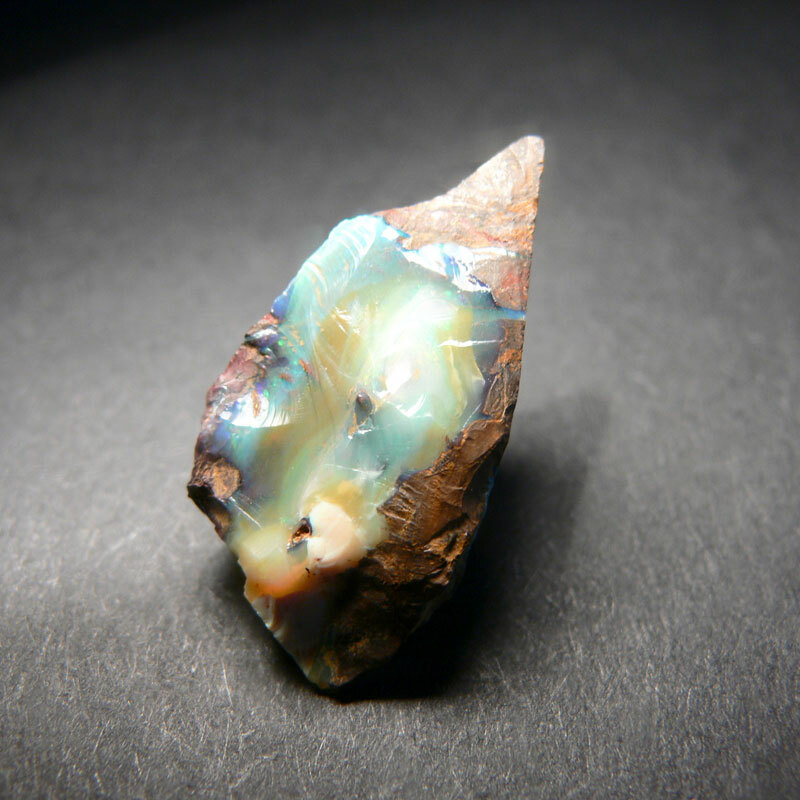 Discovered recently in Ethiopia, Welo Opal is still largely unknown. It shines vivid colours and presents varied patterns on a white body colour (although some specimens are also yellowish beige or amber). 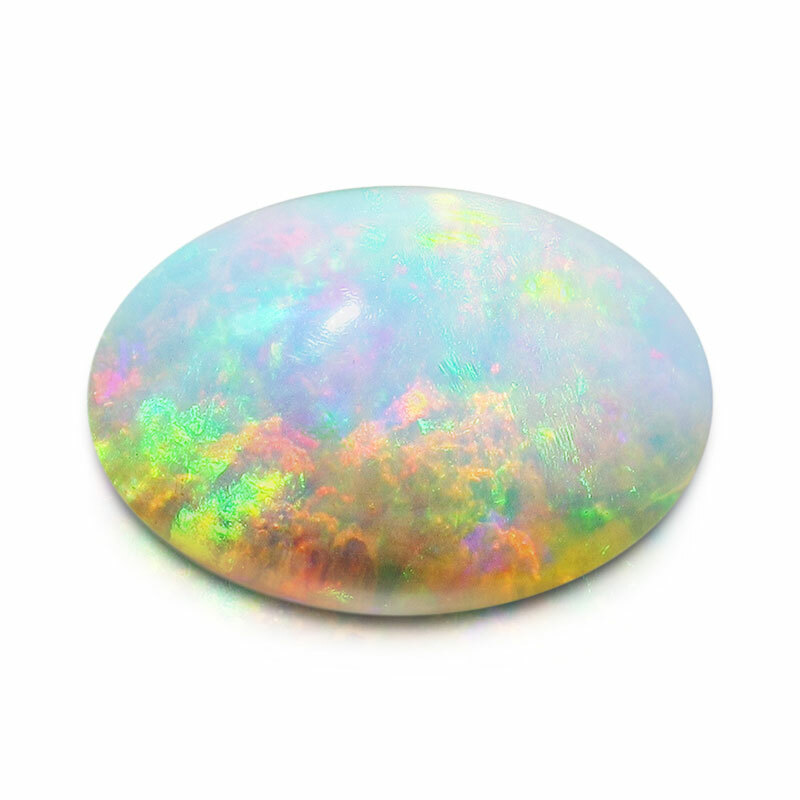 This opal is rare in that it is both translucent and presents colour play. 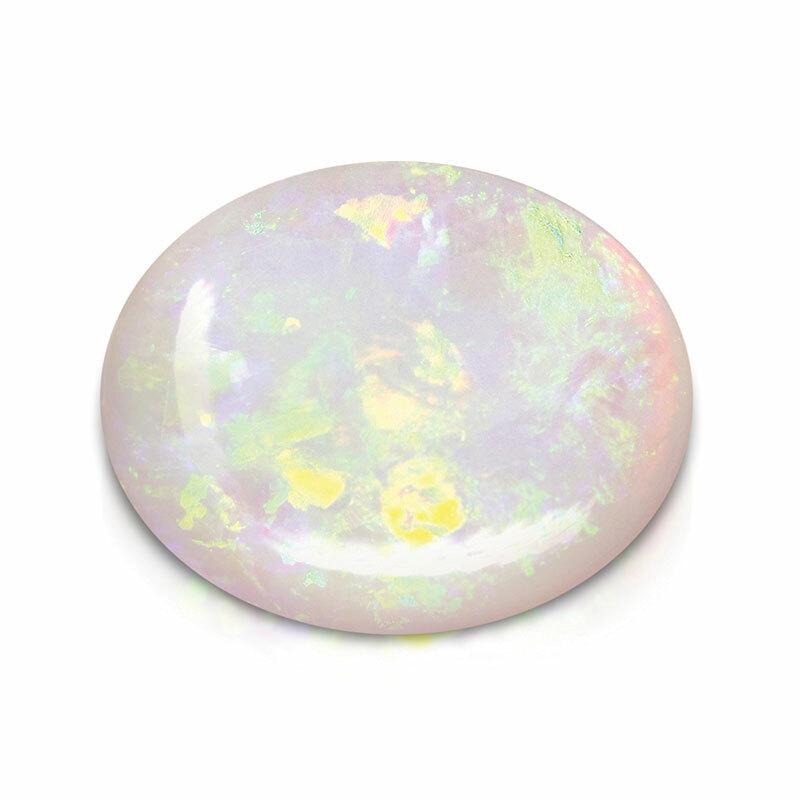 White Opal, also known as Light Opal, is a translucent to opaque with a white body colour. Coober Pedy in South Australia is the main source for this variety. Named for its Opal miners, 'Coober Pedy' means 'white man's hole in the ground' and is a corruption of a local indigenous Australian phrase, 'kupa-piti' (boys' waterhole). 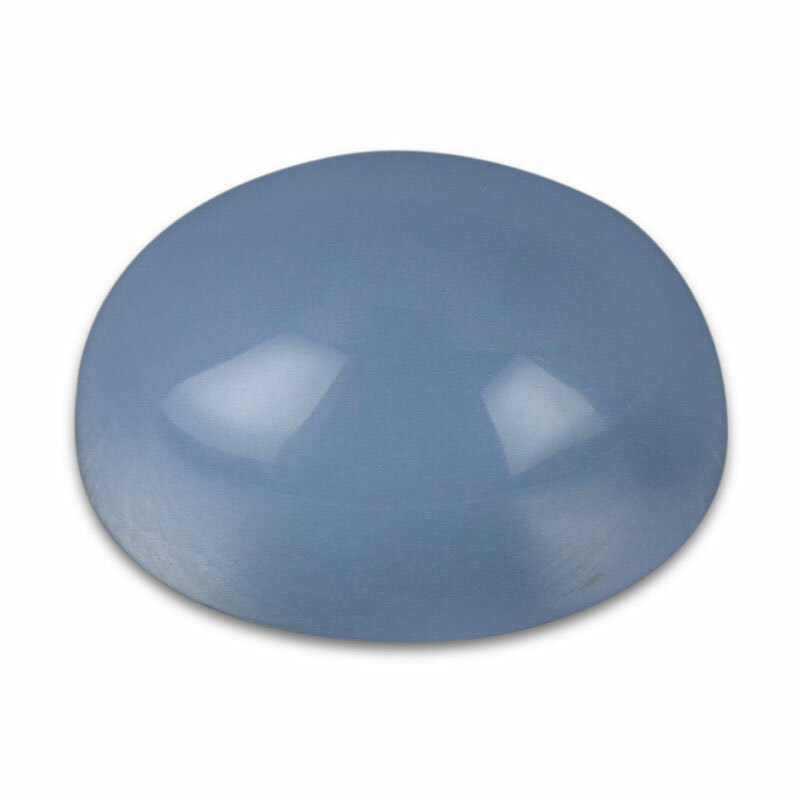 Jelly Opal, also known as Crystal Opal, is transparent to translucent and because of the absence of potch, either doesn't have a body colour or if present is described as White Crystal Opal, Dark Crystal Opal or Black Crystal Opal. While Jelly Opal is found in all Australian gem deposits to some degree, this specimen hails from Andamooka in South Australia. Newness, rarity and beauty are what make Blue Fire Opal special. Blue Fire Opal is transparent to semi-translucent, with a colour similarity to pastel Tanzanite, pretty icy cool violet-blues to steel blues. It also has occasional opalescence, the milky blue appearance of Opal caused by the reflection of light, which combos nicely with its body colour. The first significant production of Blue Fire Opal occurred in December 2007, when it was discovered by sheer chance at the Boca Rica mine in Brazil's Piaui State. The Piaui State has garnered praise aplenty for its Opals, being compared to those from Australia. With less than one-tenth of a percent of the rough mined useable, the monthly output of Blue Fire Opal is sporadic. Fire Opal, also known as Mexican Opal, Mexican Fire Opal, Cherry Fire Opal or Sun Opal, is aptly named for its transparent to semi-translucent fiery reds, oranges and yellows. Treasured in the Americas since the time of the Aztecs, Fire Opals were once called 'quetzalitzlipyollitli’, meaning 'gemstone of the bird of paradise'. Fire Opal is mainly found in Mexico, but it has also been unearthed in Brazil, Ethiopia, Mali, Tanzania, and occasionally Australia.